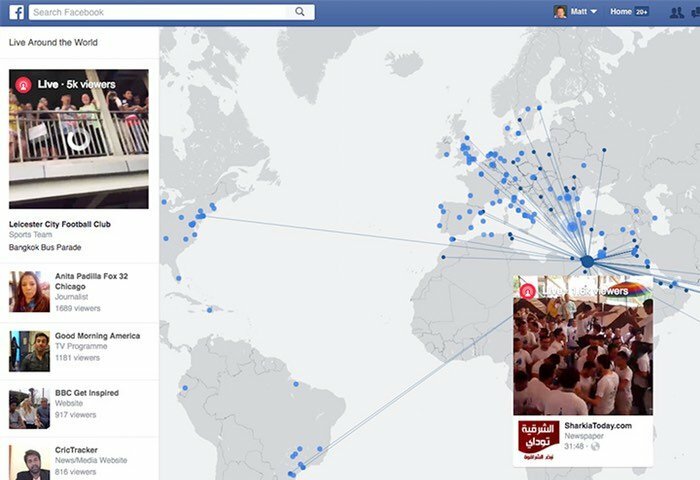 Adding to their already existing Live Video feature, Facebook today launched a new interactive map that is available from the Facebook website which reveals live streams that are taking place around the world in real time. Enabling you to check out any one of the hundreds of different live streaming events that are taking place both by individuals and large organisations and it is now live and ready to use. If you’re looking for a stream from a random stranger you can either choose one from one of the highly ranked clips on the left side of the page, or click on one of the blue dots from everyone else on the digital globe. Facebook as also made access to the interactive map, via a new “Live Video” app is available on the left navigation bar in your Facebook timeline. Jump over to the official Facebook website to see the live video streams that are currently taking place, via the link below.